Remember the joy of discovering, in some old shoebox, a snapshot you recalled but had long since assumed to be permanently misplaced? I haven’t felt that in a long time, but I had a similar thrill recently, thanks to a successful effort to extract data from the hard drive of a long-deceased Mac G3. The picture in question is the one above, and it’s an image I’ve been able to access only in my memory for many years. It’s a sign outside a Walgreen’s in Nashville, but what’s relevant is when it was taken — late September, 2001. The image echoed in my head because it seemed to capture a strange and specific moment. I have long assumed I would never truly see it again. How fascinating, then, to confront it now — along with others I remembered less clearly, if it all. On September 11, 2001, my then-girlfriend-now-wife Ellen and I lived New Orleans. A couple of weeks later (for ridiculous reasons I’ll get to below), we took a slow road trip to the Allegheny Mountains, in Virginia. The Walgreen’s sign picture is one of many that Ellen snapped on that trip, with a mid-range digital camera she’d recently acquired. Depending on your age, you will either remember or never really understand what an unusual time September 2001 was in the United States. In the wake of the event that would come to be known simply as 9/11, signals and symbols of patriotism and unity were everywhere. These included a widespread display of flags, unprecedented in my lifetime at least — to the point that cheap miniature flags had sold out practically everywhere. Of course this couldn’t last forever. We were in Nashville, I think, when we started to notice letter-board signs that, tentatively it seemed, began to bring the marketplace back into the message. The most striking examples mixed the unique sentiments of the moment with the workaday touting of bargains. It’s an interesting little time capsule. I read it now as evidence of gingerly taken steps on a path back to some form of daily life that didn’t feel like a non-stop crisis. September 2001 was an edgy, self-conscious, uncertain moment — it couldn’t just go on like this forever. A few months later, The Onion captured the awkwardness of transitioning out of this time: Area Man Not Exactly Sure When To Take Down American Flags. That uncertainty is what that one picture of the Walgreen’s sign crystalizes for me. I love the context provided by the neighboring gas station’s “God Bless America” message peeping through; I love that in this case the experimental return to flogging bargains involves the new availability of flags; I love the no-nonsense, shouty determination of the blunt lettering itself, asserting that we’re still in a time of crisis but, hey, we’re on our way back to the “normal” world of abundance and bargains. The pictures interest me for another reason. If they are a time capsule, they’re an accidental one. While Ellen is a photographer, I’m describing these images as snapshots because they were certainly never intended for publication on Design Observer (which did not yet exist) or anywhere else. They pre-date Instagram, Tumblr, Facebook, iPhones, even Flickr. Blogging existed, and obviously people were putting photographs online, but my point is that the idea that pretty much any captured image could and maybe should be easily and immediately “shared” with a public or quasi-public audience was not the default position that it has become. These pictures were just for us — closer in motivation to the earlier era of rolls of film developed and printed at the drugstore ($6.99 for 24 exposures at that Walgreen's), tossed in a shoe box with the vague intent to “sort through it all” some day, and then basically ignored (or misplaced). And so I remembered that sign, but I didn’t exactly obsess about the picture, or think of it as somehow noteworthy or even worth looking at again, for a long time. And that’s probably why there’s so much about this image’s life over the past dozen years that I don’t recall. At some point I wanted to see it again; Ellen eventually deduced that it only existed in the hard drive of that dead G3 that had been gathering dust for years. I pulled out the drive and took it to a local computer place that could do nothing with it. More years passed. Just recently I decided to send it to a service called Data Savers, LLC, which, for about $350, recovered more than 99 percent of drive’s data. (Hilariously, all of it fit on a 32GB flash drive!) I wish I could be more precise, but it’s like trying to remember when, specifically, that shoe box got filled, and the exact date that it was shoved just out of sight in the downstairs hall closet, etc. Anyway, Ellen fished the appropriate files from the flash drive, and we sorted through the images. This was sort of like the shoe-box sifting of the analog era, but not quite: These are digital pictures after all, and there were hundreds. Only a small fraction were of signs, of course — including about a dozen of that Walgreen’s sign. There are even images of the sign’s other side, which I’d completely forgotten. It advertises a different (amusing, but less poetic) bargain. The pictures of course aren’t geotagged, and at some point the date-taken metadata on all of them was reset to January 1, 2000 (an obvious impossibility). All the pictures above were in a folder titled “Nashville,” which leads me to believe that our road-tripper interest in this subject lasted only a day or two. Finally: Like any box of snapshots, this one evoked personal life more than the American zeitgeist. I’ll close by explaining, quickly, the absurd details. In September 2001, I was just under two years into a new life as a freelance writer. I had a very part-time arrangement with Slate, but after 9/11 every other story assignment I had in the works was spiked. Thus I was spending most of my day reading the news, and, when I’d exhausted that, Anna Karenina. The single assignment I still had — incredibly — involved a column called “The Good Life,” for the lifestyle section of a (now defunct) magazine aimed at small business owners. This was a great gig: I loved my editors, the money was solid, and the “reporting” entailed various luxury experiences, such as going to a fancy spa. An assignment involving a fancy spa in the Allegheny Mountains is, in fact, the one that had been scheduled some time before the United States endured a massive, tragic, world-changing terrorist attack. We’d spent weeks devising a leisurely road trip vacation around it. But obviously, as the date approached, we weren’t sure what to do. My editors — with long lead time, and no obvious way of coming up with a new, post-9/11 luxury column hook — said I may as well go. We went. It was a very weird time to be driving through America, and a preposterous time to do so with a luxury spa as the ultimate destination. We didn’t really know what to do. But — just like whoever came up with the wording on that sign — we were trying, the only way we could. 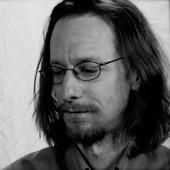 Rob Walker writes about technology, design, business, the arts, and other subjects. His column The Workologist appears in The New York Times Sunday Business section. Previously he wrote the Consumed column for The New York Times Magazine, and has contributed to many publications. He is co-editor (with Joshua Glenn) of the book Significant Objects: 100 Extraordinary Stories About Ordinary Things, and author of Buying In: The Secret Dialogue Between What We Buy and Who We Are. Matt Tomasulo was a successful tactical urbanist. Then he ran for public office. Disquiet Junto has been listening to retail, and it’s changing my ears. The new season of Mmuseumm speaks to our present, by way of unlikely objects.